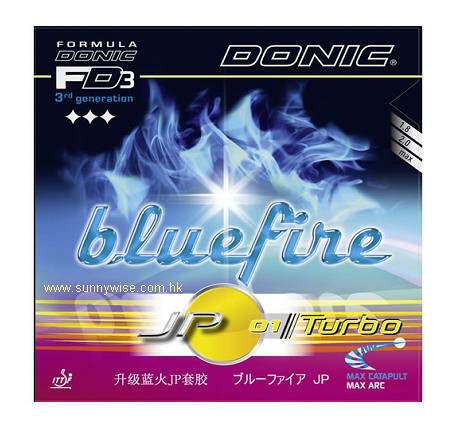 Bluefire JP 01 Turbo: More explosive than ever! DONIC is proud to introduce two top quality Turbo rubber versions. Small changes to the structure of the sponge combined with a new pimple formation ensure that these Turbos have enhanced dynamic and spin qualities. For attackers who value good control.